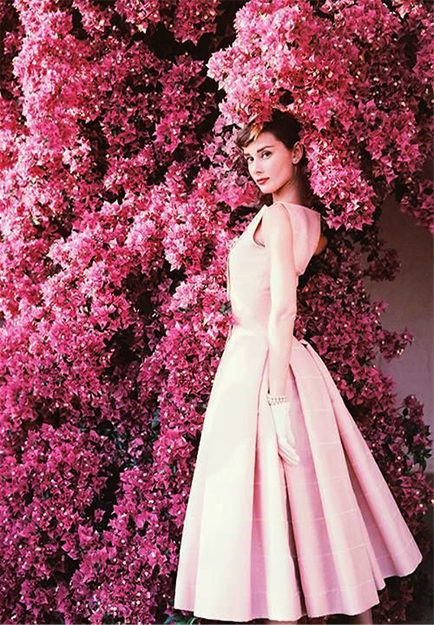 No one has captured the hearts of the fashion industry more than Audrey Hepburn. She was radiant, graceful, and elegant. She was also unafraid to explore avant-garde silhouettes while retaining her signature refined beauty. She was the epitome of 1950’s glamour – the decade where style was born – a time when elegance was the cornerstone of fashion. Long after her passing, her status as a style and fashion icon still remains intact. She left an inimitable legacy that continues to inspire today. In the late 1980s she became a goodwill ambassador for UNICEF. She understood too well what it was like to go hungry from her days in The Netherlands during the German Occupation. Making more than 50 trips, Hepburn visited UNICEF projects in Asia, Africa, and Central and South America. She won a special Academy Award for her humanitarian work in 1993, but she did not live long enough to receive it. Her work to help children around the world continues. The Audrey Hepburn Memorial Fund was established to continue Hepburn's humanitarian work in 1994. It is now known as the Audrey Hepburn Children's Fund.